Last week I spoke at the LexisNexis 2011 Practice Management Annual Conference, which was held in Orlando, Florida. I discussed the evolution of technology since 1995, with a focus on mobile and Internet-based technology, including cloud computing and social media. I explained how these rapid changes, many of which have occurred in the last 6 years, are affecting the practice of law and why staying abreast of technology changes will help attorneys to better represent their clients. You can view the slide show below. If you would like to view my speaker's notes as you navigate this slide deck, head over to the Slide Share website and click on the tab "Speaker Notes." Thanks for taking the time to view this slide deck! 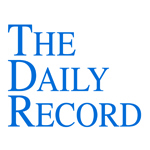 This week's Daily Record column is entitled "Pennsylvania Ethics Committee on Lawyers Using Cloud Computing." Is it ethical for lawyers to store and access confidential client data in the “Cloud” using computers or mobile devices? As more lawyers become familiar with, and use, these technologies, this question is slowly, but surely, being asked of ethics committees across the country. As I’ve discussed in prior columns, both Florida and New York ethics committees have addressed this issue and each concluded that lawyers can use cloud computing services to store confidential client data as long as reasonable steps are taken to ensure that client confidentiality is maintained. (See, Professional Ethics Committee of the Florida Bar Op. 10-2 (2011) and New York State Bar Association’s Committee on Professional Ethics Op. 842 (2010)). The American Bar Association’s Committee on Ethics 20/20 is also in the process of tackling this issue and has proposed that Model Rule 1.6, which addresses lawyers’ duty to maintain confidential information, be revised to add the following section to the rule, which mirrors the language used by the Florida and New York ethics committees: (c) A lawyer shall make reasonable efforts to prevent the inadvertent disclosure of, or unauthorized access to, information relating to the representation of a client. 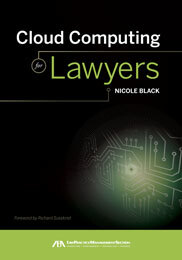 Meanwhile, the North Carolina Bar has not yet issued a formal opinion and continues to struggle with this issue, having issued two proposed opinions on the ethical obligations of lawyers who choose to use cloud computing platforms in their practice, the most recent of which is the North Carolina Bar Proposed 2011 Formal Ethics Opinion 6 (2011). And, in January of 2011, the Pennsylvania Bar Association chimed in on the subject, issuing Ethics Opinion No. 2010-060, which addressed two inquiries: (1) Can an attorney ethically allow client confidential material to be stored in “the cloud”by the software manufacturer? and (2) Are there ethical considerations regarding the use of Smartphones, in general and particularly in regard to those that are synchronized through “the cloud” and data can be remotely removed through the phone? The conclusion reached was quite similar to the New York and Florida committee’s conclusions: Yes, lawyers may use these technologies, provided that they take appropriate measures to ensure that the confidentiality of client data is not breached. Creating plans to address security breaches, including the identification of persons to be notified about any known or suspected security breach involving confidential data. All in all, the Pennsylvania opinion is an example of a forward-thinking application of existing rules and allows lawyers the flexibility to determine which tools are most appropriate for their particular practice. This decision is wisely based on the premise that although the tools may be changing, lawyers’ ethical obligations remain the same. New technologies don’t warrant new, more stringent rules or requirements, but rather require the careful, thoughtful application of existing rules while leaving lawyers a wide berth to take advantage of emerging tools and technologies. This week's Daily Record column is entitled "Lawyers' Collective "Milkshake Mistake." We’ve all enjoyed a cold milkshake on a hot day, but it turns out that milkshakes are far more than a dessert. Milkshakes, like most products, including legal services, are whatever the consumer needs them to be. Clay Shirky, noted author and Internet and technology pundit, examines this idea in his book, Cognitive Surplus and Generosity in a Connected Age. In his book, Shirky, (who will be the a keynote speaker at the upcoming Social Media and Communication Symposium at RIT on September 29th), describes how Gerald Berstell, a researcher hired by McDonalds, was tasked to improve the sales of milkshakes. Unlike the other researchers, rather than focusing on improving the product, Berstell focused on the consumer’s expectations and needs by tracking customers’ purchasing habits. As he did so, he noticed something interesting. Most milkshakes were purchased in the early morning by commuters. Even though McDonald’s marketed the milkshakes as a dessert, its customers disagreed. For most customers, milkshakes were a neat, tasty, convenient and easily transportable breakfast meal--more so than any of McDonald’s other breakfast options. Shirky referred to this phenomenon as “milkshake mistakes,” something that occurs when an industry adopts a narrow view of its products, while simultaneously ignoring the needs and expectations of its customers. This is because although lawyers are purportedly hired to solve legal problems, we’re also hired to make the client feel better about their situation. In many cases the primary underlying motivations behind seeking legal counsel include reducing anxiety, mending bruised egos, satiating anger, achieving justice, and even obtaining revenge against perceived wrongdoers, no matter what the cost. In other words, lawyers tend to overlook their client’s multi-faceted needs and assume that they’re only being hired for their legal expertise. For many potential clients, that’s simply not the case, and if there is an easier, cheaper way to ease their worries and accomplish their goals that isn’t as intimidating as hiring a lawyer, they’ll use it. And, just as is the case with traditional media, online tools are a disruptive force that provide consumers with a variety of newfound ways to meet their needs through legal self-help. The Internet offers legal consumers more alternatives to traditional legal services than ever before--smack dab in the middle of an economic downturn during which the average citizen is highly motivated to solve their own problems and avoid costly legal bills. Whether it’s virtual law offices, legal forms from LegalZoom or RocketLawyer, legal forms for uncontested divorces provided by state court websites, or crowdsourced legal advice from LawPivot, more and more online platforms are emerging that offer an increasingly vast selection of low cost tools to assist legal consumers with commonly encountered problems. Of course lawyers serve an important function in our society and I’m not suggesting that all forms of traditional legal services will ever be replaced by online tools or platforms. But the legal profession must avoid making the “milkshake mistake.” The delivery of legal services is changing and consumers now have more choices when it comes to meeting their needs. Astute, forward-thinking lawyers will recognize, not ignore this phenomenon, and find ways to position their law practice to meet the needs of legal consumers in the midst of this rapidly changing technological landscape. If you’d like to hear more from Shirky and others (Nicole Black will be speaking on a panel as well) the RIT Social Media and Communication Symposium will be held on Sept. 29, 2011 and the cost is $35 for the day (www.rit.edu).